The Kindle Paperwhite eReader from Amazon tops today's eBook readers with the best features with the best pricing. For all those positives, it may not take top spot by as wide a margin as some reviewers opine. We compared today's top gray-screened tablets that use metallic "ink" (E Ink) under their 6-inch screens to form letters and images. The Paperwhite, the Kobo Aura and Aura HD, and the last-generation Nook from the struggling Barnes & Noble (which is reportedly due for an update for the holiday season) employ front lighting, the high-tech equivalent of shining a light on the screen. This front light makes the screen glow nearly as brightly as a tablet's LCD but with none of the eyestrain, creating much deeper contrast that renders text easier to read. All these eReaders also offer Wi-Fi to connect to their manufacturers' companion online eBook stores. What's so great about the new Amazon Kindle Paperwhite, compared to the Aura or the Nook? Thanks to a processor that's 25 percent more powerful than the last-gen Paperwhite, the new Paperwhite turns pages and navigates through menus and searches noticeably faster than either Aura or the Nook. You'll find little of the lag usually experienced with other eReaders. The Paperwhite's touch sensitivity is more responsive. You rarely have to touch anything twice, things you touch react more quickly, and you can scroll up and down through tables of contents and other menus. (On other eReaders, you can only swipe screens and pages right or left.) By contrast, the new Kobo Aura in way too touch-sensitive; pages often turn simply when you pick it up. Even though both the Paperwhite and the Aura offer 212 pixel-per-inch resolution, 16 levels of gray and nearly identical resolution (Paperwhite: 1024 x 768 pixels, Aura: 1014 x 758 pixels), text and images are darker and sharper on the Paperwhite. The Paperwhite's higher contrast comes courtesy of a new E Ink screen technology called Carta, which also accounts for Paperwhite's smoother page turns compared to the Aura, which uses the older Pearl E Ink technology. On the Paperwhite, you can easily flip back and forth between sections, such as a map at the front of the book and the point at which you're reading in the text. All eReaders offer an integrated dictionary. On the Paperwhite, you can look up phrases and proper names in addition to individual words. You also get access to Wikipedia (assuming you're reading in a Wi-Fi zone) and, in newer books, you get Kindle X-Ray, which provides expanded word, name or phrase information along with other in-book locations associated with the term, person or character you're curious about. To build your vocabulary, you can also access a list of words you've looked up. The new Paperwhite retains the previous version's soft-coated enclosure, which makes it easier to grab and grip without it slipping while one-handed reading. The Paperwhite's advantages are extended by Amazon's network of features and services. For instance, when you order a book on Amazon's web site, you can have it beamed directly to your Kindle. 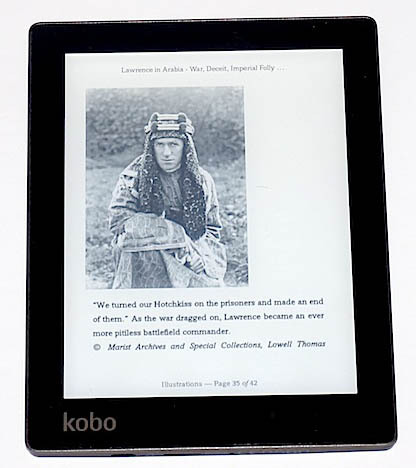 The Amazon Kindle store offers not only books but magazines and newspapers, both which are lacking in Kobo's bookstore. And later this month, Amazon will launch Kindle MatchBook — if you've bought a new physical book from Amazon, you'll be able to buy the Kindle version for $2.99 or less. In short, Kindle offers more reading and support pluses than any other eReader. Every reviewer I've run across has proclaimed Amazon's new Kindle Paperwhite as today's best eReader. 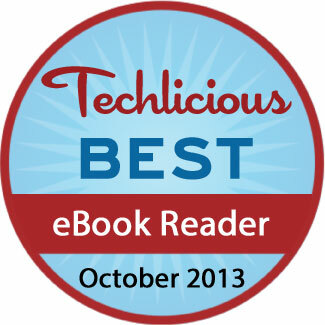 "It's the best ebook reader on the market," says Jamie Lendino of PC Magazine. "[B]etween the Kindle's great UI, Amazon's impossible-to-beat content selection and the price difference … the new Paperwhite is already an extremely well-rounded choice," says Brian Heater at Engadget. The headline on Lance Ulanoff's review at Mashable screams "Amazon Paperwhite Is the Best Digital Reading Experience Money Can Buy." Ulanoff notes the new Paperwhite is "now virtually unmatched in performance and usability." "The Paperwhite's slight shortcomings are mere quibbles on what's still the best overall e-ink eReader currently available," notes my buddy David Carnoy at CNET. "Amazon won the ebook reader war.…There isn't even viable competition at this point," lauds David Pierce at The Verge. Best of all, the Paperwhite is the cheapest of the front-lit eReader bunch. You can buy the Paperwhite with "special offers" — ads to you and me, or unobtrusive notices on the sleep splash screen — for $119 or sans ads for $139. Kobo's Aura is $150, and the beautiful, high-resolution 6.8-inch Aura HD is a whopping $170, more expensive than a growing number of more functional 7-inch tablets. The current Nook Simple Touch GlowLight is discounted to $79 from $99, which is a great deal. But again, this Nook is last year's technology, and Barnes & Noble's future is cloudy. 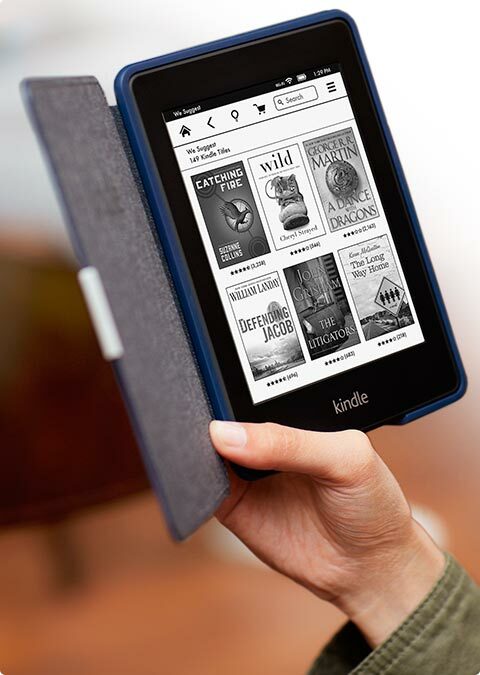 Amazon doesn't simply hold a price advantage on hardware — it also has lower eBook prices. For instance, all the fiction and nonfiction nominees for this year's National Book Awards were all equal to or less expensive on Amazon than the prices on Nook, Kobo or even Apple iBooks, which doesn't have a web-based store (bizarrely, you can only buy iBooks through the iBooks iOS app). Considering its reading and support advantages and the pricier alternatives, Amazon's Kindle Paperwhite eReader is the best and best value of the eBook bunch. Kobo's new Aura may actually be a better choice for many folks, primarily because of its size and reading options. Aura is three-quarters of an inch shorter than the Paperwhite, allowing it to be more unobtrusively carried in outerwear pockets and fit better into small purses. At 6.1 ounces, the Aura is also slightly lighter than the 7.3-ounce Paperwhite. Combined with its smaller size, that makes it easier to hold more comfortably in one hand for longer periods. The front light on the Aura is slightly brighter and whiter than the Paperwhite's, improving text-to-screen contrast and overall readability. Aura also offers more font customization than Kindle. For instance, you can choose from a dozen text fonts on the Aura, compared to just seven on the Paperwhite. The Aura also lets you adjust font weight, font size, line spacing, margins and sharpness on sliding scales to create precise reading comfort, in contrast to the more limited fixed settings of the Paperwhite. You can also choose from one of three page-turn touch zone patterns on the Aura to accommodate left-handed and one-handed reading; Amazon pretty much assumes you're right-handed. It's also available with a lovely pink back. If the Aura were more competitively priced, a choice between the Aura and the Kindle Paperwhite would be much tougher.